During the cold days of January, everyone looks forward to the warm cozy atmosphere of fish fries and packed cafeterias. 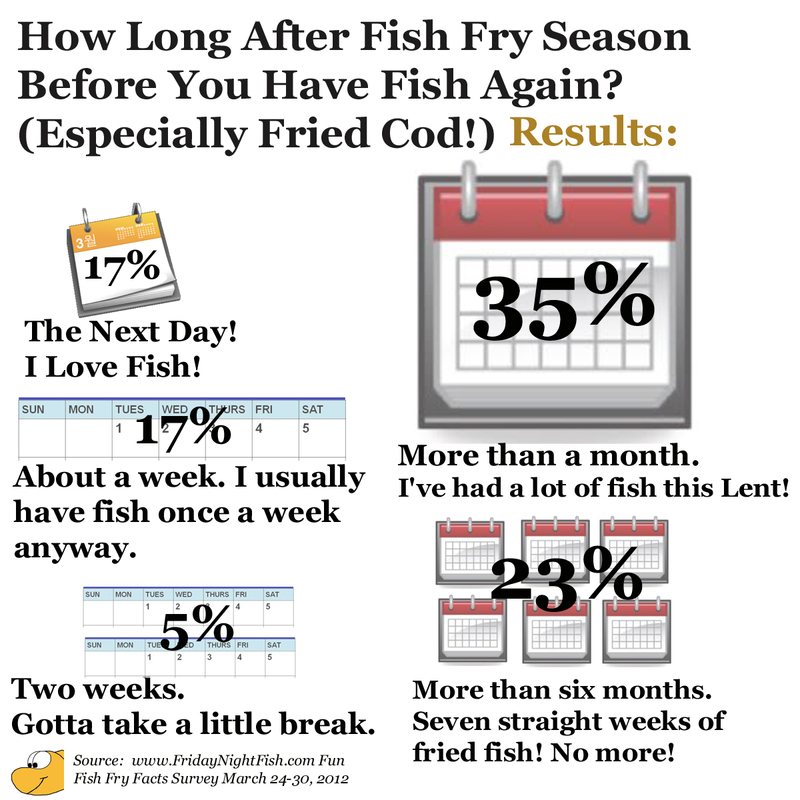 But after six weeks of fried Cod, most, including Fish Fry Guy, start looking forward to Easter ham! 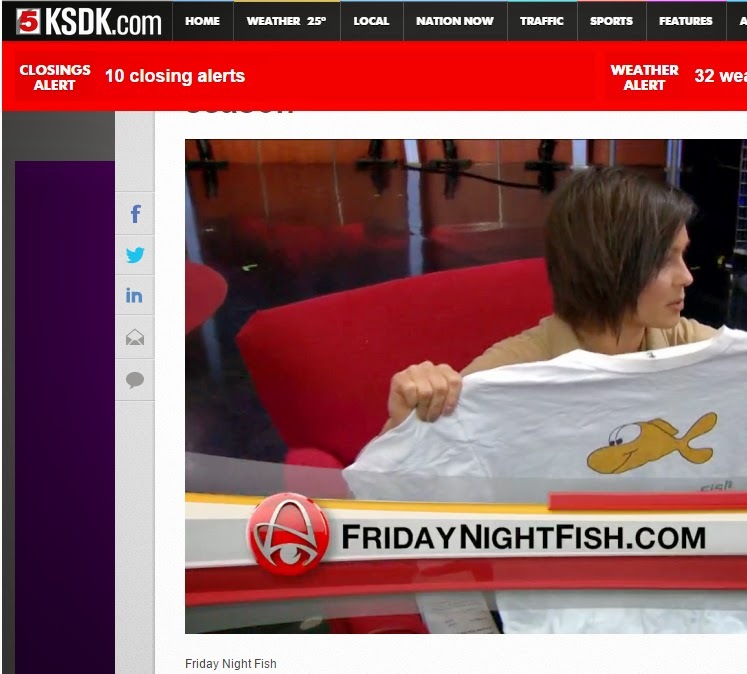 Also, interest in fish fry blogs plummets! 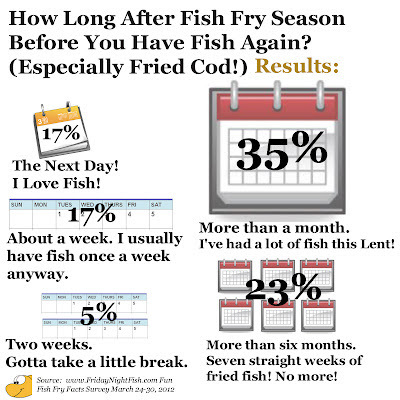 This weeks Fun Fish Fry Facts Survey Question was: How Long After Fish Fry Season Before You Have Fish Again? Almost 60% of respondents will be waiting a month or more! They also won't be responding to fish fry questions! Only 17 votes this week, compared to 70 responses last week. Also, we've been averaging about 2,300 page views per Friday during Lent. 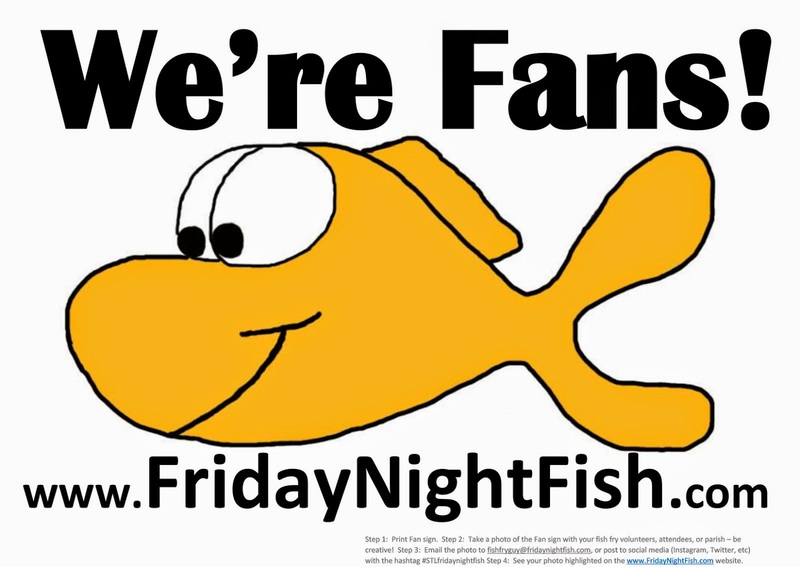 This week, just a little over 1,000 pages views at Friday Night Fish. Every one's interest is moving on to Spring and Summer!